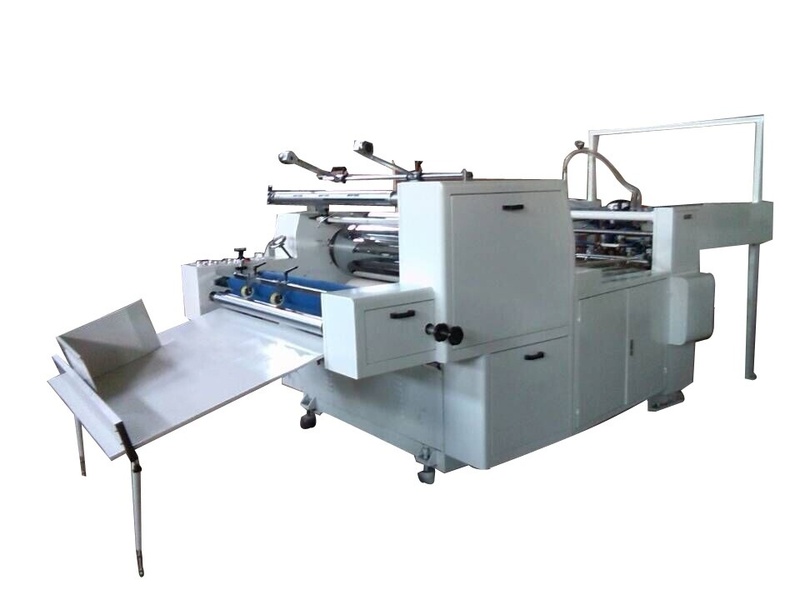 GT-1040 fully automatic laminator is one of new designs to suit glueless film lamination and pre-glued film lamination. This laminating machine is composed of feeding system, laminating system and cutting system and rewinding system. The electric and pneumatic devices are controlled by programmable control (PLC) system. And the operator can operate the machine easily on touch screen. Heating roll adopts built-in oil heating system which has excellent heat-remaining property to precisionize and stabilize laminating temperature. This machine centralizes the features of compact structure, high automation, humanized operation design, and is an excellent choice for large and medium-size enterprises.